I know a lot of you are out shop-shop-shopping, but if you decide that you are getting a jump-start on your online shopping...I have some great news! 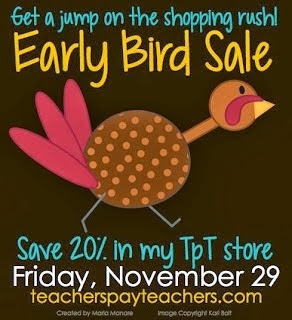 Along with many other TpT stores today, my whole store is ON SALE for 20% off! If you are the patient type, you can still choose to wait until the Cyber Monday sale when all items in my store will be 28% off! 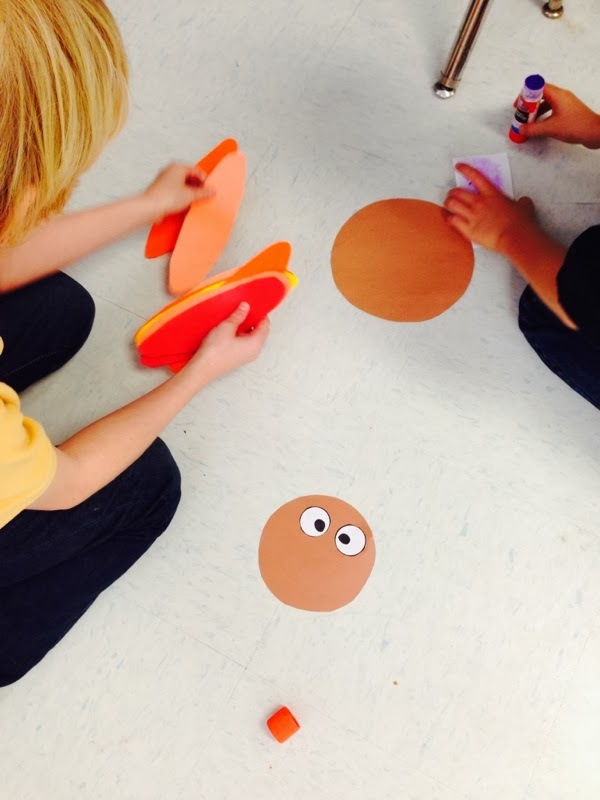 Head over to TpT to take a look at the item's preview! 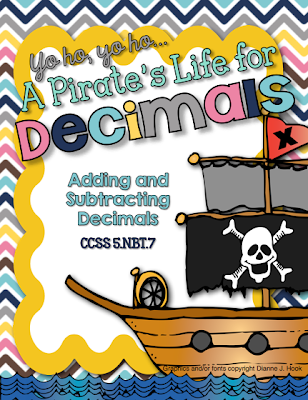 There are LOTS of fun activities (70 pages!) in this pack! 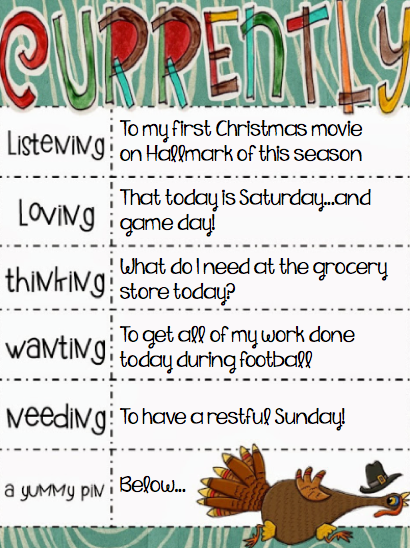 Shopping related activities, task cards, stopwatch activities, and more! Study guides and tests are also given in the pack! 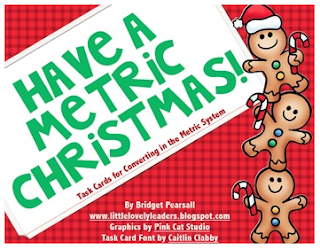 If you are looking for something holiday related while you are shopping this weekend, try these Metric Christmas Task Cards! Happy shopping to all early birds! This week felt a little sloooww so I decided it was time for a craftivity! 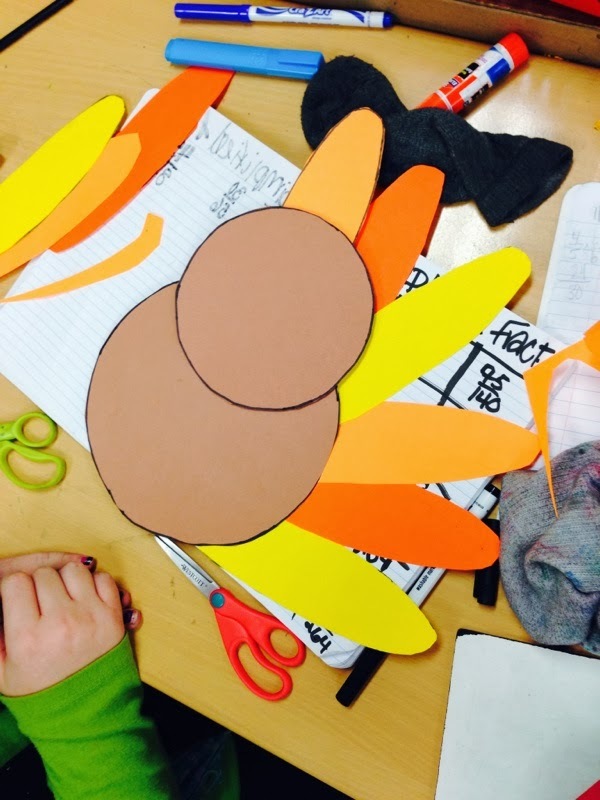 I guess I was feeling a bit "seasonal", so I decided to create a turkey! I think he/she came out super cute! Click here to get this craft! 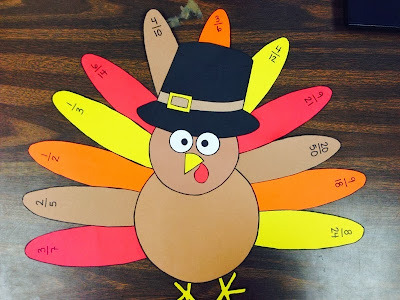 I used this turkey craftivity to allow my students to express their knowledge of equivalent and simplified fractions. The feather colors are like a key, or legend, for finding the matching fractions. 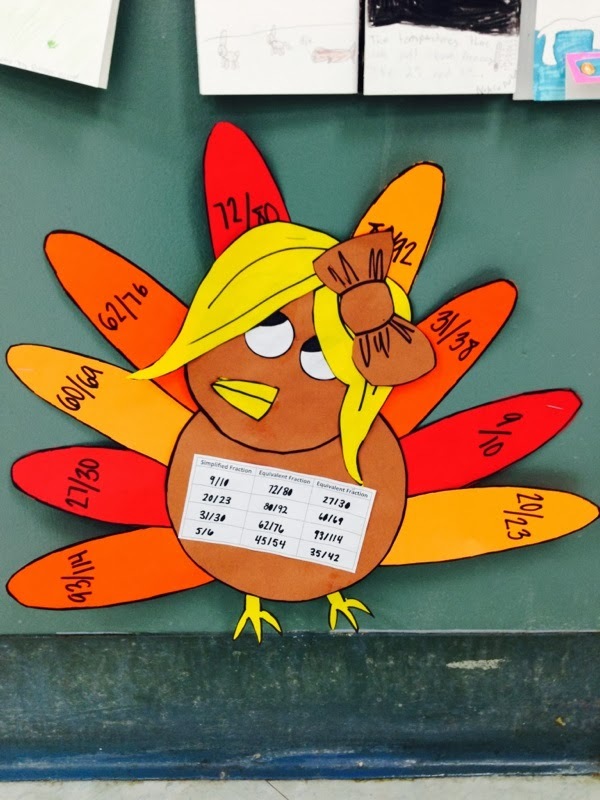 My students worked in pairs to complete their math work and create their turkey! I gave them a bunch of fractions that they could choose from on the board. 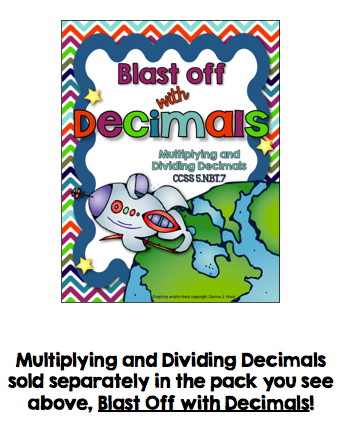 They chose four fractions to simplify. They also needed to find one more fraction that is equivalent to the fractions they chose. Ending up with three fractions for each of the four they chose originally, you end up with 12 feathers! I love to watch how cute they turn out! A few girls in my class got soooo creative! Isn't she just adorable!? These girls are the reason I added a bow option to the craftivity pack! I just could not handle this cuteness!! Feel free to leave your ideas in the comments below!! I would love to hear them! 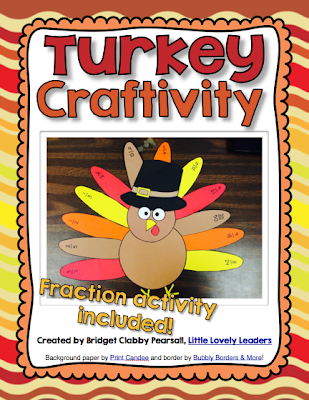 Click HERE or on the image to get this craftivity for yourself! How much do we love these months? The holidays are here! in her currently linky party! I am watching my first Christmas movie of the season! I love how they start playing them right after Halloween! Yay! These get me sooo ready for the holidays! It makes me want to go Christmas shopping!! Today is Saturday...which means it is college football game day! Yay! Auburn plays Arkansas...and I don't want to say any more because I am afraid to jinx it! Go Auburn! War Eagle! I told you all this in my last post, we have been out of town like CRAZY these past few months! Today is a huuuuge day for food shopping! Finally! I can't wait to stock our fridge again! It has been so long since we have had real meals at home! We haven't had any weekends to do our food shopping, and because of that, the weeks have seemed soo long and full of microwavable food! We will be heading to Publix today! Yay! 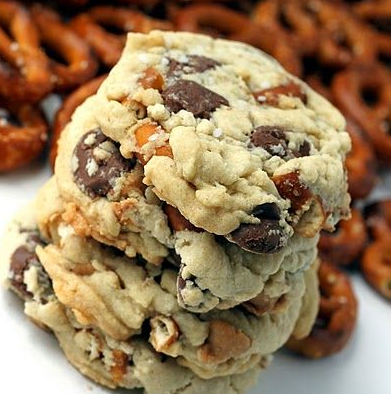 Pretzel cookies with peanut butter and chocolate chips! Doesn't everyone love the mix between salty and sweet?